Accenture's partnership with Apple aims to help its clients make better use of iOS mobile devices for business uses, including connecting new apps to legacy back-end systems. 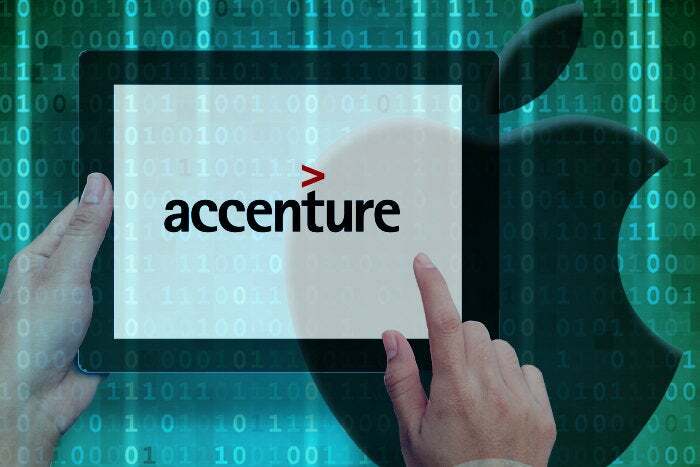 Global consultancy and business services firm Accenture unveiled a partnership with Apple designed to help businesses develop new applications and use cases for iPhones and iPads. Accenture, which helps companies develop and deploy custom business apps, announced a new dedicated iOS practice within its Digital Studios in select locations around the world. Experts from Apple, including software and hardware developers, data architects and data scientists, will also be co-located in Accenture's iOS practice offices. One reason Apple needs consulting partners like Accenture is that iOS-based mobile apps must connect to legacy back-end systems to access data. Apple will be making use of Accenture's systems integration expertise and its partnerships with software and networking providers such as SAP and Cisco. Accenture said its new effort with Apple will help enable Internet-of-Things services featuring new tools, templates and pre-designed code to help clients take greater advantage of the data from IoT platforms in their iOS apps, "putting more power into the hands of workers." It will also eventually spawn data migration services to help clients transfer their existing legacy applications and data to modern iOS apps. Based on experience in developing mobile apps, "iOS is the superior mobile platform for businesses and are excited to be partnering with Apple," said Pierre Nanterme, Accenture's chairman and CEO. While Accenture may be gushing over its new business partnership, Apple is by no means monogamous. It has already announced similar partnerships with Deloitte and IBM. In fact, IBM reacted to the Accenture-Apple news today by reaching out to the business press to remind them of its expanded partnership with Apple – announced in June. IBM's deal with Apple also focused on the growing demand for mobile innovation in enterprises by creating cross-brand teams for designing iOS apps and services. IBM's partner locations currently include Atlanta, Cupertino, Toronto, Chicago and a MobileFirst for iOS Garage in Bangalore, India. It is also working on global hubs in Shanghai and Bucharest dedicated to the creation and delivery of apps across mobile platforms. Apple CEO Tim Cook believes iOS devices have only begun to "scratch the surface" of what businesses "can do with our products." Jack Gold, principal analyst with J. Gold Associates, agreed, adding that Apple only has about 5% of the desktop market, with Windows owning the lion's share. While Apple believes it has an enterprise play, in reality it has a strategy but no firm tactic for gaining a significant foothold in the enterprise market. "So they really need partners like IBM, Accenture and HP," Gold said. "Everyone does stuff with Apple today because they have to," he said. "This really is just a realization that Accenture has clients who use iPhones and iPads, so let's try to build a closer relationship with Apple. To some extent this is really marketing as much as it is anything else. "Is it significant? It's significant if you're an Accenture client, but it's not clear exactly what it's all going to mean longer term," Gold said. Kevin Burden, vice president of Mobility Research & Data Strategy at 451 Research, said Apple's newest partnership is noteworthy in that Accenture's core mission is "to make technology, existing or new, more useful to its users." "This is certainly different than some of its past partnerships, such as one it entered into with IBM just a few years ago, which was seemingly centered on creating new, enterprise-grade applications for iOS," Burden said. While enterprise mobility has been marketed as a way to enable all the applications, data and workflows that run a business to be functional on mobile devices – which would increase workflow flexibility, speed up processes and boost accuracy by capturing data in real time – the reality has been quite different, Burden said. That's because new apps needed to be built and the expertise to make legacy back-end systems accessible and useful on mobile devices was not universally available, he said. "So, part of this partnership is Apple recognizing and accepting the unique characteristics of each enterprise and the importance of their legacy, and sometime even archaic backbends that require the types of professional services Accenture delivers to make them useful on iOS devices," Burden added. Just as enterprise mobility came with great promise, augmented reality and virtual reality have also been marketed as having tremendous business value, one that Burden believes is another driver of the Apple-Accenture partnership – to move the technologies into real use cases within enterprises. "Microsoft will continue to feel the pressure the more Apple is able solve the mobile footprint within enterprises," Burden said. "When Apple/Accenture designed mobile workflows are as robust and capable as the ones they are supplementing – that's when it gets real interesting." Gold, however, doesn't believe Apple will be disrupting the Windows enterprise market anytime soon as it's too well established. But the new partnership does enable better communications between the Apple and Accenture, "and that's not a bad thing."